This is where I like to share my kitchen discoveries. The good, the bad and the ugly! Mash Direct sent me a few of their products to try. 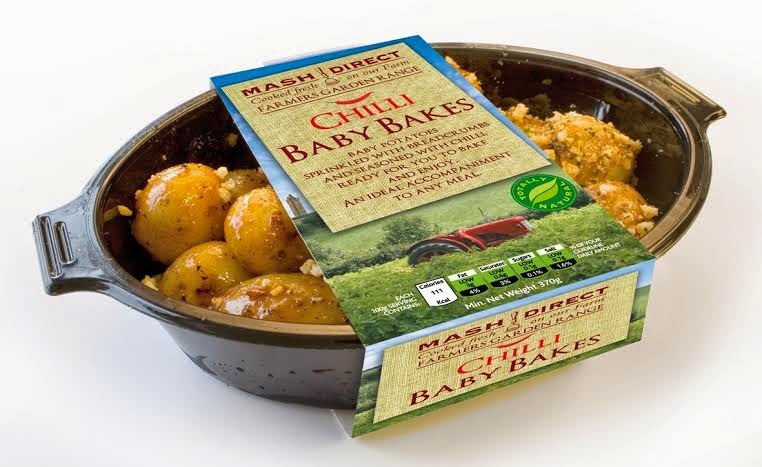 Yes they do sell a variety of vegetable mash, but they sell so much more and we liked these baby potatoes coated in breadcrumbs and chilli. Cooper and I absolutely loved these. We'll be looking out for them to try again. A real treat. 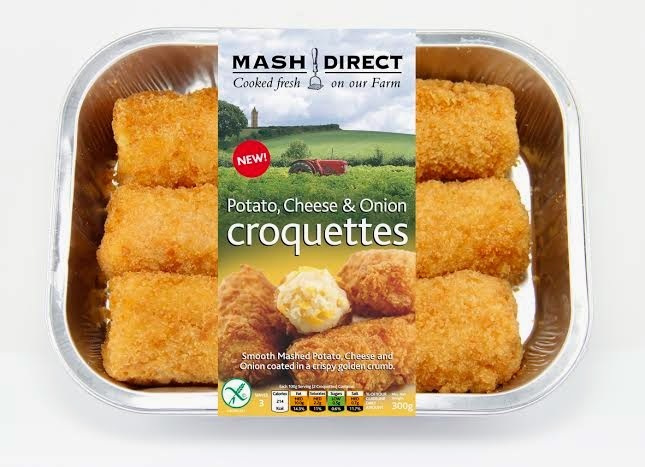 Crispy in the outside and soft, creamy and packed with flavour on the inside. I've been working with Gresado, an online grocery shop that specialises in high quality chef ingredients. 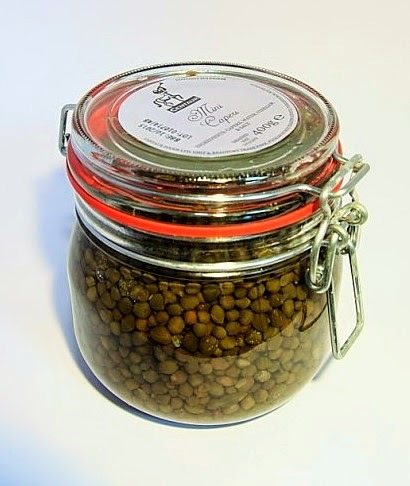 They kindly sent me a few of their products to try including these capers. Everything they've sent me so far has been excellent, so I have high hopes for these capers, but I haven't broken into them yet. Any suggestions on what dishes I should use them in? I remember these from the first time around. 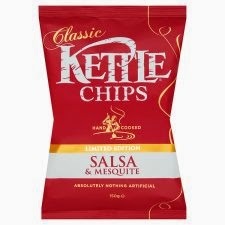 These are sweetly spiced, almost a smokey BBQ flavour with a little kick from paprika and jalapeno. Too, too easy to snack on! The crunch of handcooked crisps and suitable for veggies and vegans. 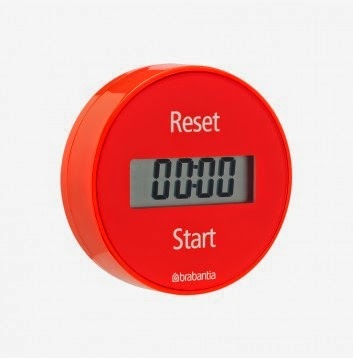 This cool red kitchen timer came from brabantia. I currently have two wind up kitchen timers. One is a metal one that looks like an egg and the other is a frosted cupcake. They may look great, but they are absolutely useless. They both start of well then run down with no indication that they have finished. So I have been doing a lot of running backward and forward to look at my laptop clock recently while baking. It was time for something a bit more modern and accurate. This one runs for up to 99 minutes and has a 5 year guarantee, which I clearly need. I love the vibrant red and the fact it's magnetic, so it sits nicely on my fridge. Now you may not want to know this, but if you have a woven bread basket then chances are it's filled with bugs. Yes go throw it away this minute. Totally disgusting. Up until now I've been using a bowl with a napkin in it to avoid such a vile state of affairs. 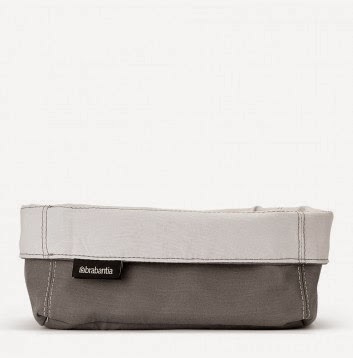 The great thing about this bread basket as well as being stylish, it is reversible and machine washable. Result! I went for the medium which is big enough for us, but it you have a bigger family Brabantia also sells these in a larger size. Hot of the press. I bought these yesterday to serve filled with sour cream, salad leaves, homemade chilli and grated cheddar. I do like Mission flour tortillas, they are large, so easy for wrapping and lovely and soft. 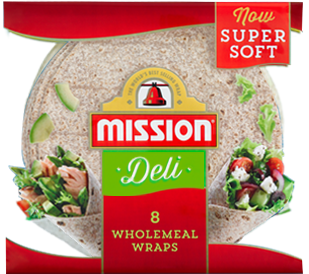 I'm not keen on the Tesco flour tortillas, which I find claggy, but Mission Deli Wraps Wheat and White are excellent. So when I saw wholemeal I thought "Brilliant!" and immediately bought two bags. I always buy wholemeal if possible so it made sense, but ugh, I didn't like them, the flavour or the texture. Once warmed they were a bit flaccid and damp. Not a nice experience. Go for Wheat and White and steer clear of this flavour. Not in my kitchen, but food related. I rented this from work. Yes I work in a library where we rent DVDs and staff are made to pay. We used to get them free, but someone who shall remain un-named, abused this courtesy and it was stopped. Damn them! Anyway I really wanted to watch this, so I paid up. 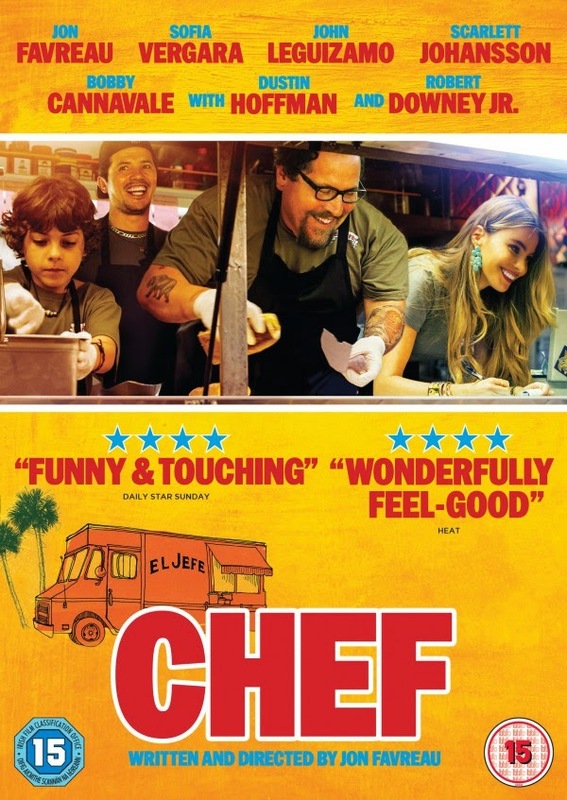 The film is about a chef who works in a fine dining restaurant, but isn't allowed to cook what he wants to cook and after a bad review and twitter going crazy he leaves, buys a food truck and travels around the country with his best friend and son cooking up great but simple food. This time using social media to his advantage. Graham and I really enjoyed this film and would heartily recommend it. On a recent trip to Edinburgh I had an uninterrupted browse around John Lewis (Graham and Cooper were in a toy shop). I was loving this colourful new range and couldn't resist treating myself. I was a little disappointed by the glass. It has dipped in sides in a white glass, which is rather nice to hold. I thought coloured smoothies would look excellent against, but it actually just looks quite clear. 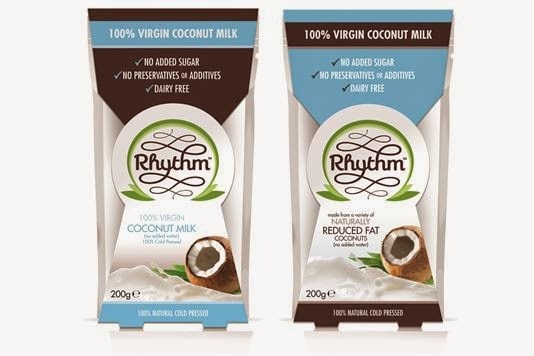 I've been enjoying this fresh coconut milk that has no extras added. I've been adding it to dal and smoothies. The great thing is once it is open, you can just fold over the top (I sealed mine with a peg) and pop it in the fridge until you next need it. Very handy. 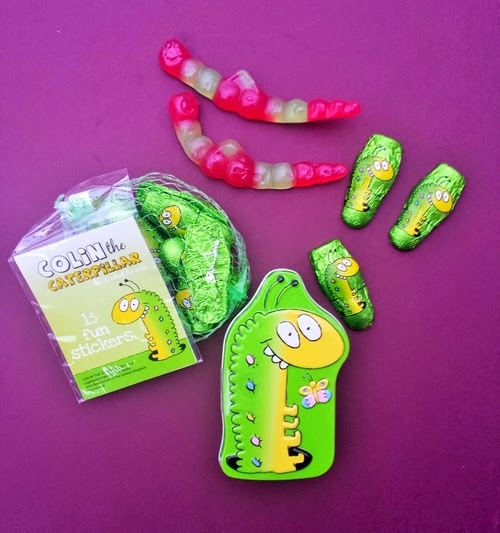 Now you know how I love jellies, but they aren't abundant for veggies, well there's a new one in town. It's in the Colin the Caterpillar range. Cherry flavours and a lot firmer than the butterfly jellies. I still like the veggie Percy's the best, but it's nice to have another option. The range also comes in chocolate, which is fun for little ones, but I'm not so bothered about that. Cornishware kindly sent me a little surprise ahead of Christmas. 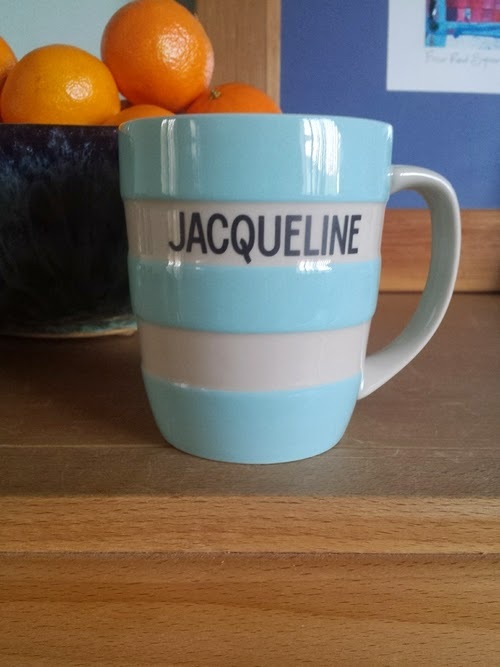 A personalised mug in a gorgeous pale blue. I do love a bit of cornishware with those classic stripes. What a kind gift. Number thirteen but not unlucky. This stuff is heavenly and I thought they could never beat Strawberry Cheesecake. 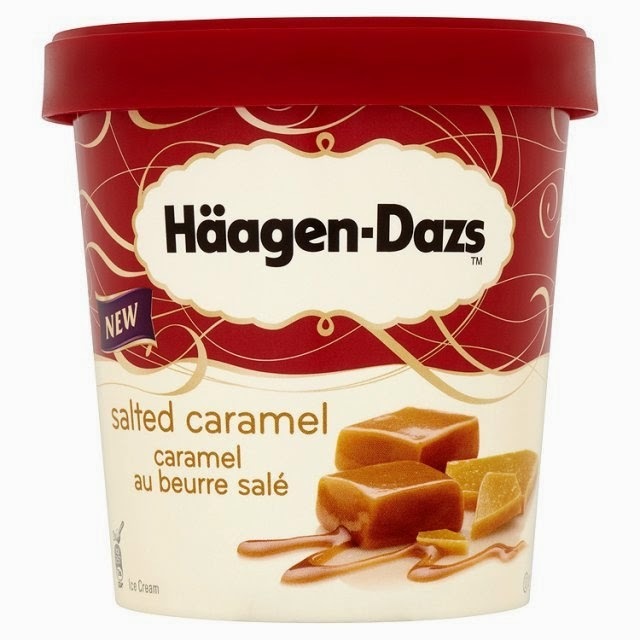 "Salted caramel and crunchy caramel pieces swirl elegantly through delicious caramel ice cream". Oh yes! I've actually made this last two weeks. Just dive in for a few spoonfuls, then back in the freezer. Sheer bliss! 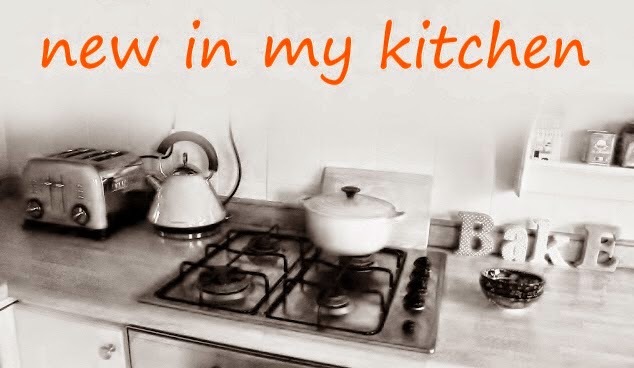 Have you any new discoveries in your kitchen? Disclosure: I was sent some of this selection to try, the rest I bought myself. I only give my own opinion on products and I hope to inspire you. Thanks Choclette. I loved the green dish as soon as I saw it too. The napkins have certainly made my photos pop. It's a great range. I was quite restrained, I could easily have gone crazy. Oh, I finally had to break down and get a digital timer as well - it's amazing how long something so silly can take you - you just fiddle and futz with the stupid ticking one until you finally realize it's okay to bin it entirely! I know why do we bother with those wind up ones for so long? They are totally rubbish. Ooh baby capers! Interesting. And I bought those wholemeal wraps too, they weren't good :( I'm going to try making my own! The ingredients in the 'healthy' ready made ones alone are somewhat scary! Well I'm glad it' not just me. I felt a bit mean trashing them. Oh nice and trip and yes have a look. Great post, thank you for sharing all your new discoveries! It is a bit of a treat, but have you tried the new Cadbury's Dairy Milk chocolate with Chips Ahoy cookies inside it? It is so delicious! Oh my that sounds good Coco. I shall be having a good look for that! It's really good and yes that is a great plan.